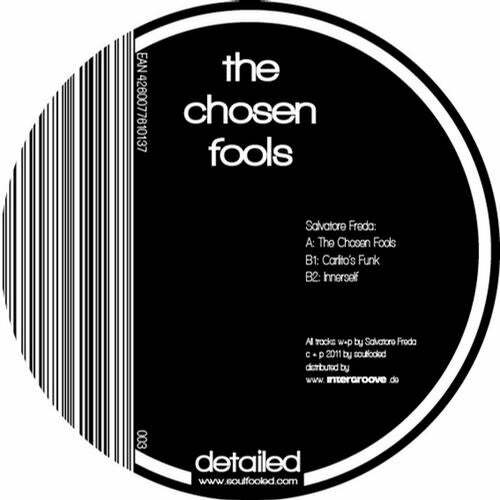 Soulfooled Detailed imprint brings friend and partner in crime, Salvatore Freda, on catalogue no.3. With releases on labels such as Freerange, LiebeDetail and Remote Area to name a few, Savatore has already made it into the record-boxes and charts of almost every high-rated dj and producer. His music, reaching from Deep House to more forward moving Techno-house, has one specialty; which makes the swiss staying in everybodys mind. The groove! This man knows what he is doing...so its no wonder, that this three tracker on Soulfooled shows his outstanding abilities again. Remarkable techy grooved monstersl! Heavy support by :Luciano, Richie Hawtin, Laurent Garnier, Reboot, D?Julz, Joris Voorn, Dixon, Jimpster, DJ-T, Martin Landsky, Luna City Express, Gel Abril, Roberto Rodriguez, Shinedoe, Lauhaus a.m.m.